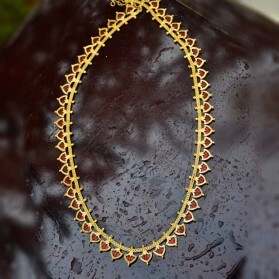 Gold Plated Dailywear Mulla Heart Chain. With its stylish and trendy design, both women and teenagers will like to wear this. It can be used as Party & Daily Wear. An excellent choice for women and teenagers. Avoid chemicals and perfumes directly or indirectly. While unused please maintain inside an airtight plastic box or cover for long colour life. 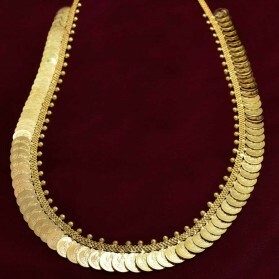 Gold Plated Stone Cutting Chain will attract any one's attention to your neckline. 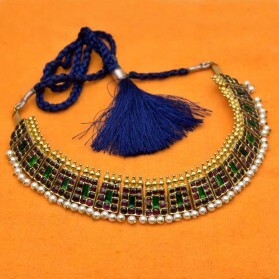 Both traditional and stylish this is the perfect accessory to wear on daily, traditional or special occasions. 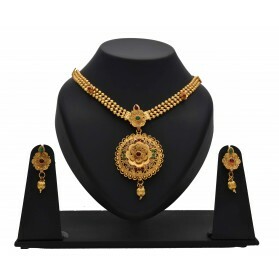 This stylish double strands gold plated designer Chain will attract anyone with its alternate polygonal golden beads and tiny red coral beads with caps and its well-known designing. This elegant coral bead jewellery is eye-catching and best suited for Teenagers and Ladies for Parties, Weddings and Engagements. 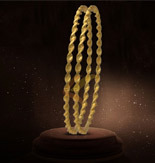 Micro Gold Plated Designer Kaveri Chain. With its stylish and trendy design teenagers will like to wear this. It can be use as Party & Daily Wear. An excellent choice for women and teenagers. Gold Plated Adjustable MC Ball Custom Chain for Pendants. 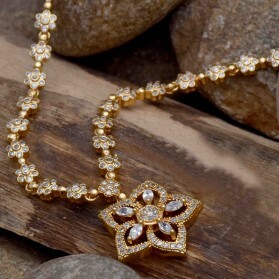 Pair this stylish and trendy chain with any thick pendants to get elegant look on Marriage functions and Parties. It can be used as Daily Wear. An excellent choice for women and teenagers. Gold Plated designer Pineapple chain. With its stylish and trendy design both women and teenagers will like to wear this. It can be use as Party & Daily Wear. An excellent choice for women and teenagers. Avoid chemicals and perfumes directly or indirectly. While unused please maintain inside an airtight plastic box or cover for long colour life. Beautiful Gold Plated designer bead Chain . With its stylish and trendy design both women and teenagers will like to wear this. It can be use as Party & Daily Wear. An excellent choice for women and teenagers. Avoid chemicals and perfumes directly or indirectly. While unused please maintain inside an airtight plastic box or cover for long colour life.